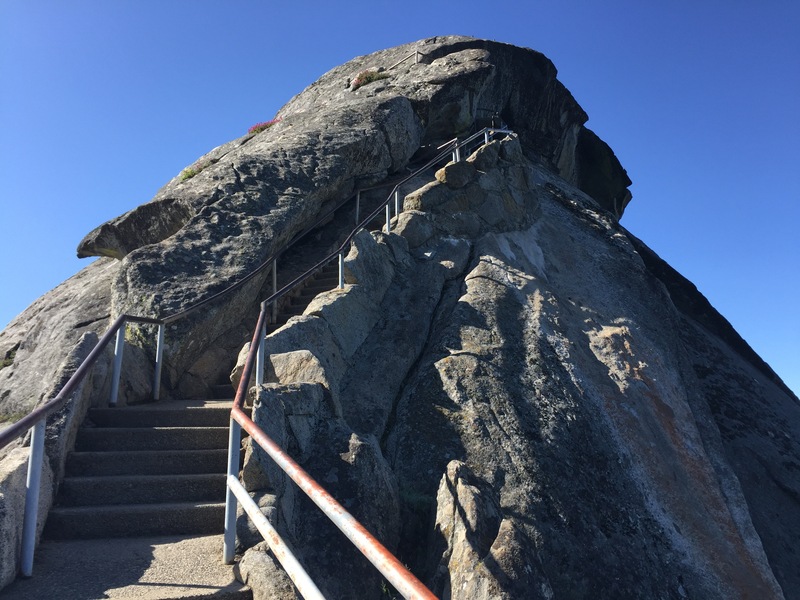 Description: Quick hike with lots of stairs to the top of a dome shaped granite rock. Gorgeous 360 views at the top! Parking: You can either park at the Moro Rock Trailhead or across the highway from the Giant Forest Museum and take the shuttle up, depends on how crowded that day will be. Best time to go: Early morning or on the weekdays to avoid the crowd but sunrise and sunset should be beautiful. 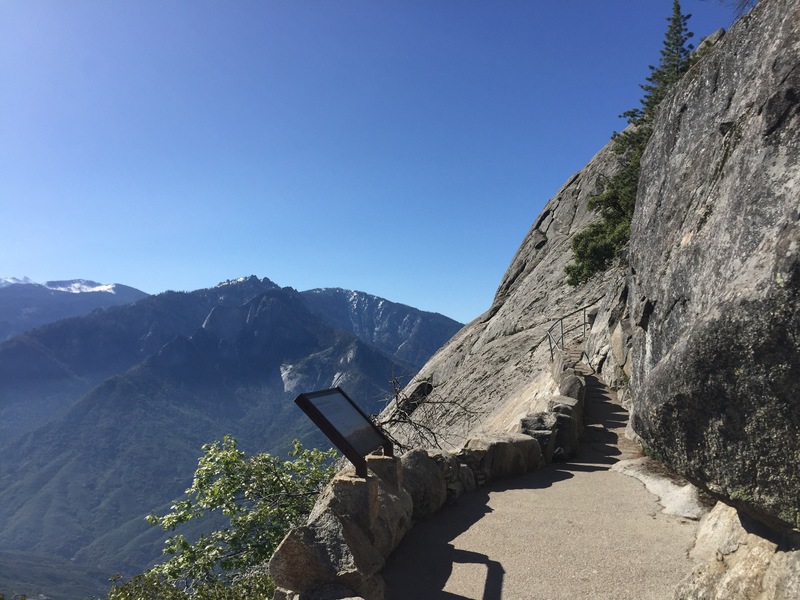 If you are not familiar with Moro Rock in Sequoia, you may have gotten it confused with the “Morro Rock” that’s located along the central California coast. We sure did!😅😅 A local from the area told us Moro Rock in Sequoia was given that name because you could actually make out the Morro Rock in Morro Bay at top on a clear day! She mentioned that you could no longer see Morro Rock due to the pollution but swears by her story. 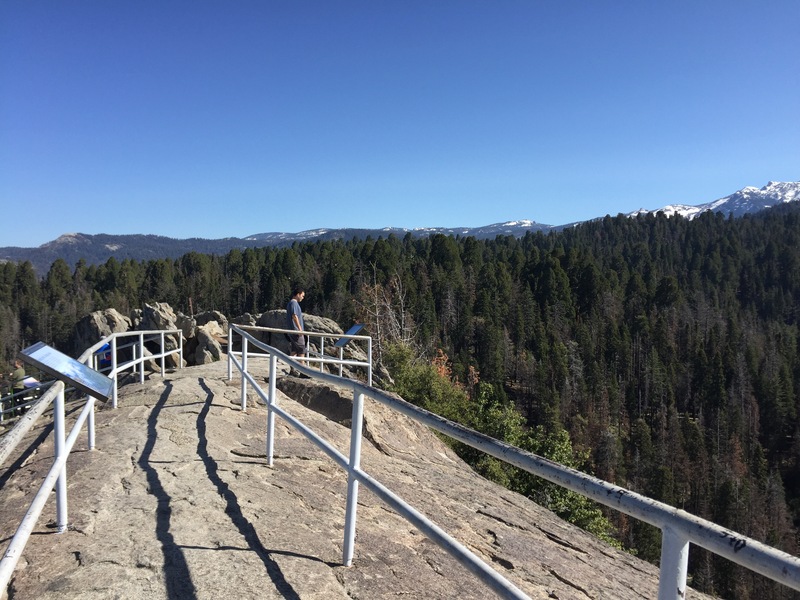 Whether that is true or not, we were happy to have the chance to explore Sequoia’s Moro Rock. Rising 6,725 feet above sea level, all you have to do to reach the top of Moro Rock is to climb a little over 400 steps. Don’t worry, it’s not bad at all, just take your time and enjoy the view. The famed granite dome is one of the most unique features in the entire park. Formed over 100 million years ago from hot molten rock that rose upwards and cooled into what we know as Moro Rock today. As you hike up the dome, you’ll be stunned at how beautiful it is. The granite structure is gorgeous with the contrasting mountains in the background. 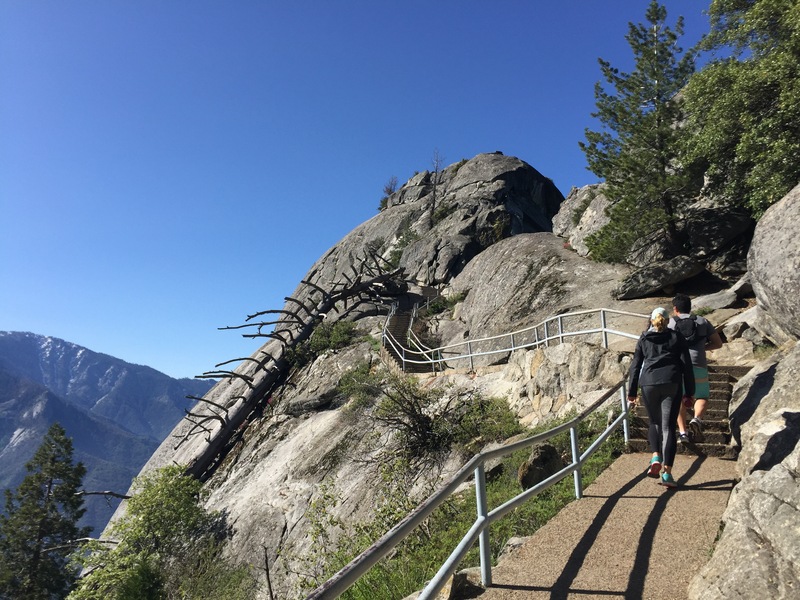 The stairway up Moro Rock is one of it’s most distinct feature. 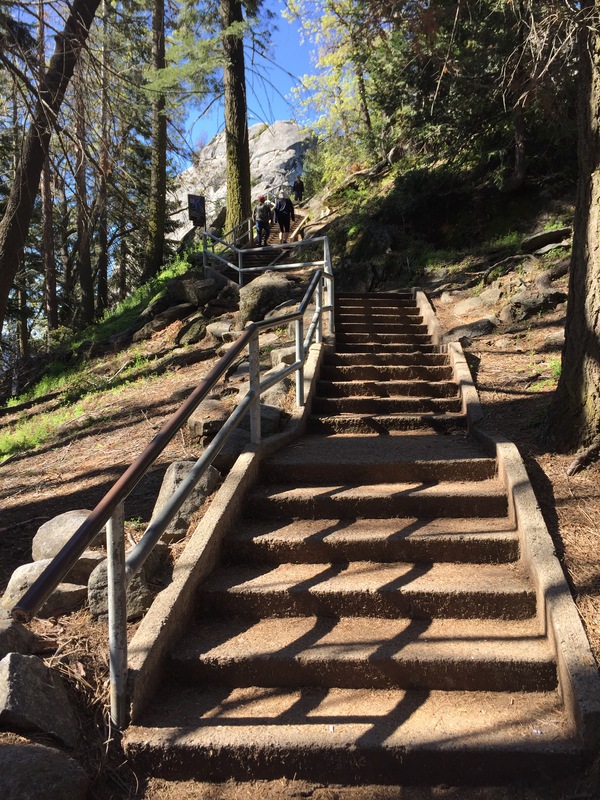 The first flight of stairs that led to the top of Moro Rock were constructed in 1917 and made of wood. These stairs lasted less than a decade and were replaced in 1931 by the stairway you see today. The 797-foot stairway was designed to blend into the graphite dome to give the trail a more natural appeal. The rails and stairway allow you to feel safe as you ascend the dome. It is definitely a million times easier and less scarier than Half Dome. In less than 10 minutes you’ll soon reach the top. Once you’ve made it to the top, you can follow the handrails and check out the information signs. Take in the beautiful surroundings and enjoy the view from above. If you’re feeling a little fearless, jump the handrail and you can take in the views at a nice little spot right below the end of the viewpoint. Good way to avoid the crowds when you just want to relax and take in the views too 😉. Moro Rock is such a quick and easy adventure. What kind of trip to Sequoia would it be without a hike to this popular spot?! Be sure to check the road conditions when you decide to visit or your 30 minute hike can turn into hooours… Don’t do that to your body unless you’re into that 😝. The road up to Moro Rock may be closed during popular weekends but the shuttles will take you where you want to go. Comments? Questions? Suggestions? Leave us a message below!